We designed first-rate instructional materials to develop your languages skills in speaking, listening, reading, and writing from beginning to the advanced level. This textbook is used for Level 1, Level 2, and Level 3 to develop conversational skills for beginners. 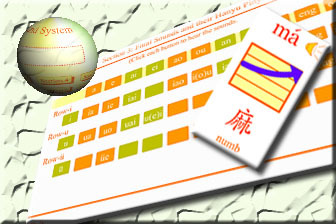 The learning content includes tones, initials, finals, tone change rules, possible syllables in four tones, 50 common Chinese family names, numerals from 1 to 100, common expressions, and 7 sets of exercises based on a famous Tang poem written by Li Bai. Designed to teach students how to learn characters in order to develop literacy skills. This is a quick way to expand your knowledge base of characters. 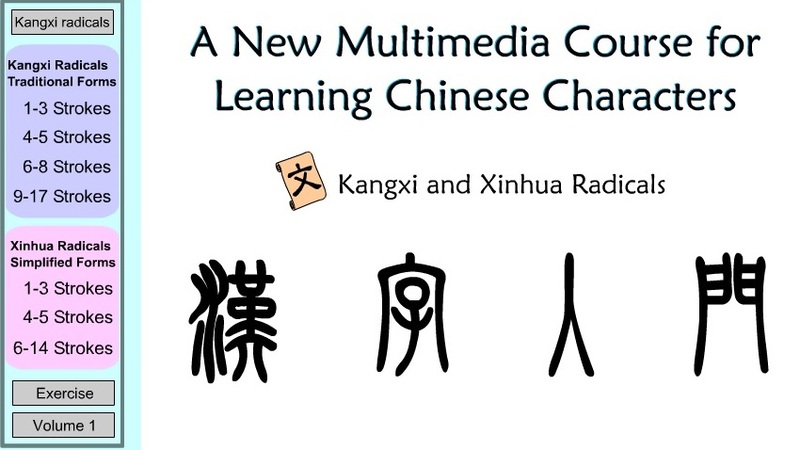 The 12 modules cover formation of characters, strokes and stroke order, radicals, Chinese scripts, printing, penmanship, Chinese calligraphy lessons, and more. 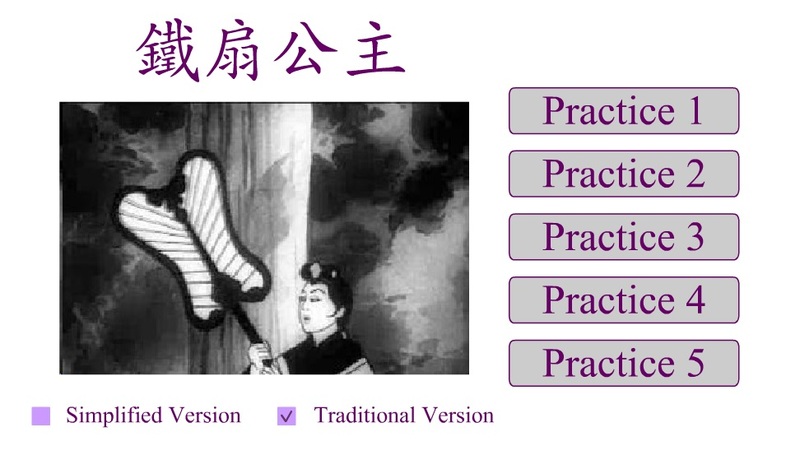 Knowing radicals is the key to learning Chinese characters. Learn 214 Kangxi radicals (traditional form) and 189 Xinhua radicals (simplified form) with strokes, etymology, pinyin, and radical nicknames. Exercises included. 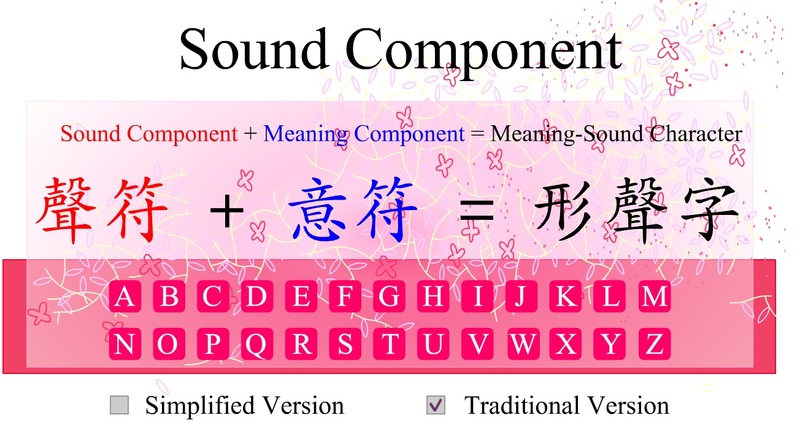 The majority of Chinese characters are "meaning-sound" characters, composed of a meaning element and a sound element. Learn 300 sound components and the characters formed by these components. It's a quick way to expand your knowledge of characters. Learning Chinese includes becoming proficient in all facets of Chinese culture, including this classic children’s story that has been popular for generations. It will help with learning vocabulary and sentence order. The Princess Iron Fan cartoon, made in 1941, was the first Chinese feature cartoon based on the famous Chinese novel, “Journey To The West.” This material is designed for intermediate level. Students follow the exercises to learn about the characters, their relationships, and the storyline. Vocabulary lists and transcript of the film are available for student use. 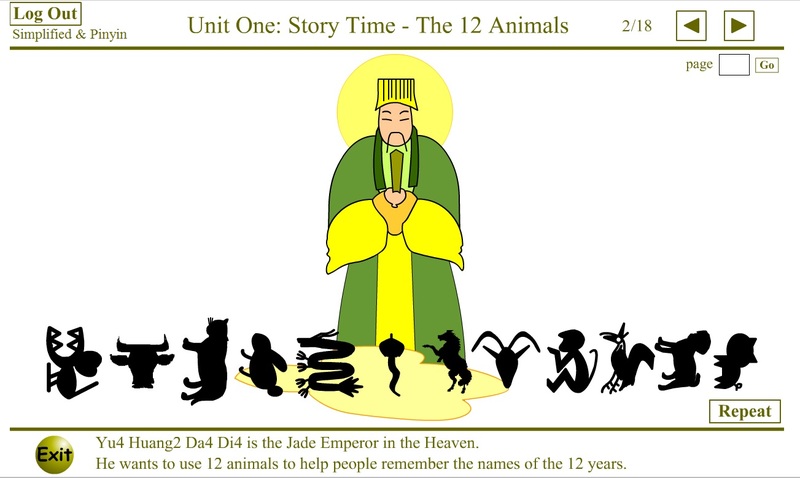 This learning module introduces four famous Chinese myths: the 12 zodiac animals, Pangu (who created the earth), Nuwa (who created humans), and Hou I and Chang E (the wife who lives on the moon.) 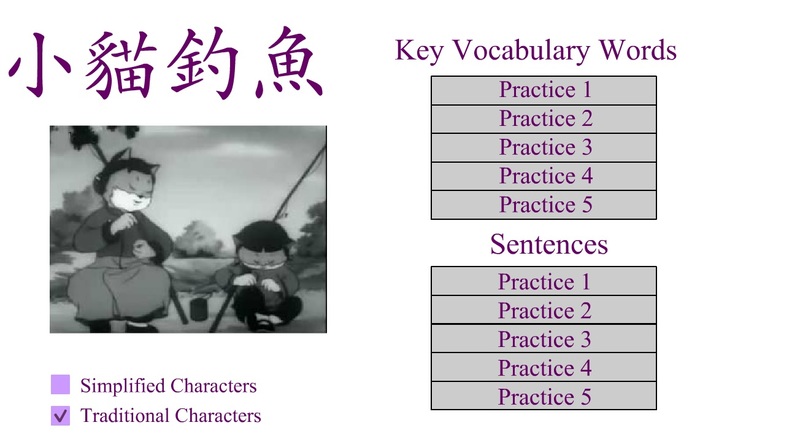 Each module has a cartoon with text in audio, characters, and English. 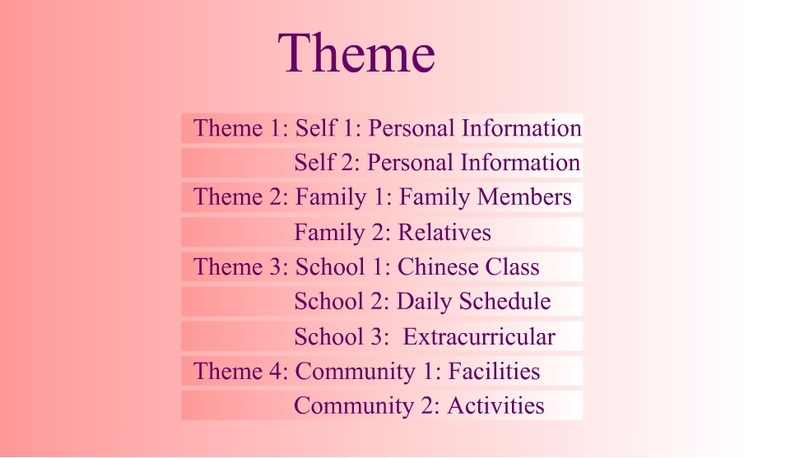 This material teaches basic conversation and reading using four themes--self, family, school, and community--with essential questions and answers for each theme. Key vocabulary recognition, combining characters into compound words, rearranging characters into sentences, and matching audio with characters. These five modules are for beginning and intermediate-level students. 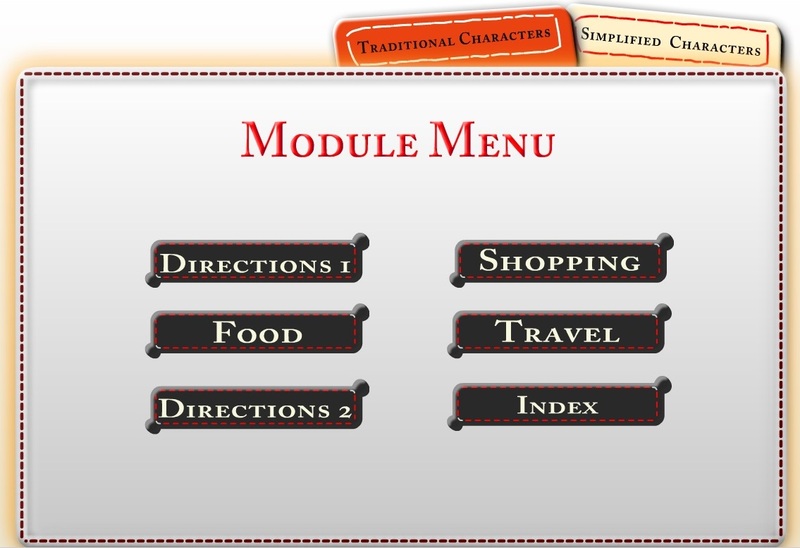 Module topics include: giving and following directions; shopping; food; and travel. Each module has 4-5 videos. Students may watch the videos with or without scripts. Module exercises include identifying vocabulary, matching pictures with sentences, and putting sentences into correct order. Students are encouraged to record or write answers to questions and submit them to instructors for review. 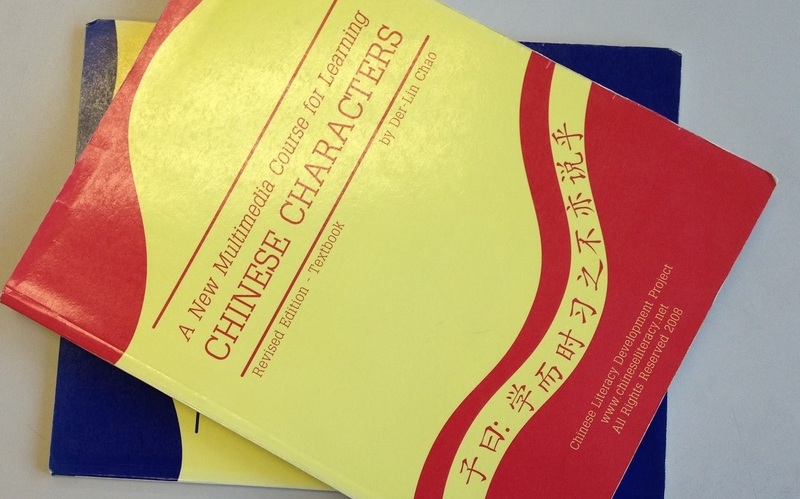 This textbook is used by many Chinese teachers in language classrooms. The story covers three generations of a Chinese family living in tumultuous times from the 1940's to the 1990's. 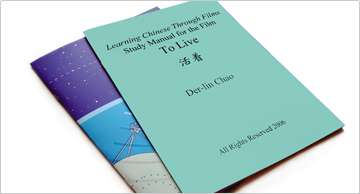 The textbook included the full screenplay in traditional and simplified characters, vocabulary lists, sentence patterns examples, and exercises. 12 essays written by young Chinese authors. 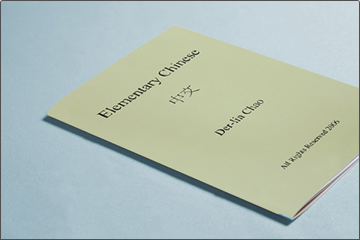 The essays feature audio, Hanyu Pinyin, and English for listening comprehension and character recognition. Exercises help students practice key vocabulary words and arrange words into sentences. Guided questions help students to compose their own essays on similar topics.